Sienna Mount Waverley in just two pre-launch weekends. This follows on from a successful $14 million is sales of the fifth stage offering. Chain Group, Sienna is a 118-lot development on an old quarry site located on Highbury Road. 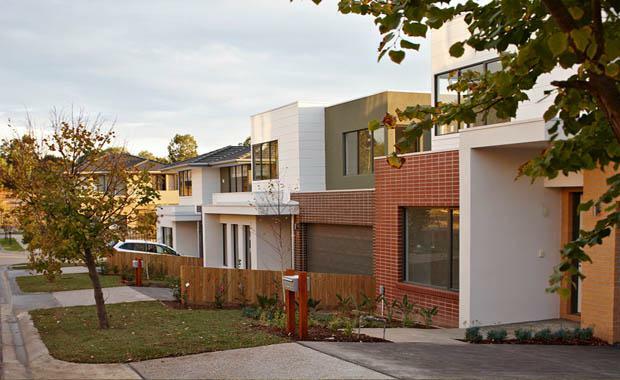 Amber, the project’s sixth release, comprises 15 double storey four-bedroom homes priced from $842,500. The first five homes of Amber were released earlier in the year with another five homes released in August ahead of schedule to accommodate demand. All properties were snapped up on opening weekends, with 13 homes selling up to $40,000 over price guides and a top selling price of $937,500. A further three homes were specially made available to buyers who were disappointed in missing out on the initial releases. Five Squared Property Group co-founder, Ashley Lewis, said demand for new homes at this level was unprecedented. “This stage release has been more like an extended auction. It’s unheard of for new homes to sell above their price guides, not to mention this quickly – a typical stage release would take around 9 to 12 months to sell,” he said. Ranging from 218 square metres to 282 square metres, each home includes multiple living zones, outdoor entertaining, SMEG appliances, reconstituted stone benchtops, timber floorboards, and remote-access double garage.